MINI vehicles offer active and passive safety features, both of which help make them safe cars for Los Angeles drivers. But what are the differences between these two features? Learn more at MINI of Santa Monica. Active Brakes – These brakes help make driving easier in a number of different ways by applying added braking pressure when emergency braking, automatically drying themselves when it’s wet, and decreasing erratic driving. Dynamic Stability Control – Using advanced sensors and the strategic delivery of torque and brake pressure to the wheels, this system is able to help you stay stable on the road. Head-Up Display – Keep your eyes on the road to avoid a collision while still getting access to important information like your speed, navigation directions, and radio. Cornering Brake Control – When you’re taking a corner at speed, this system applies the brakes automatically to help you stay in control. Adaptive Cruise Control – This feature is able to automatically maintain a safe distance between your car and the one in front of you. Smart Airbags – New MINI vehicles come with up to eight smart airbags. Crash Sensor System – This feature automatically unlocks the doors, turns on the hazard lights, and cuts the fuel pump when the airbags go off. Breakaway Engine – This feature helps the engine and gearbox absorb as much of the impact as possible in case of a forward collision. Rollover Protection Bar – This mounted safety bar can deploy in just seconds to provide added protection if the vehicle rolls over. Engine Immobilizer – This system automatically immobilizes the engine without the key. 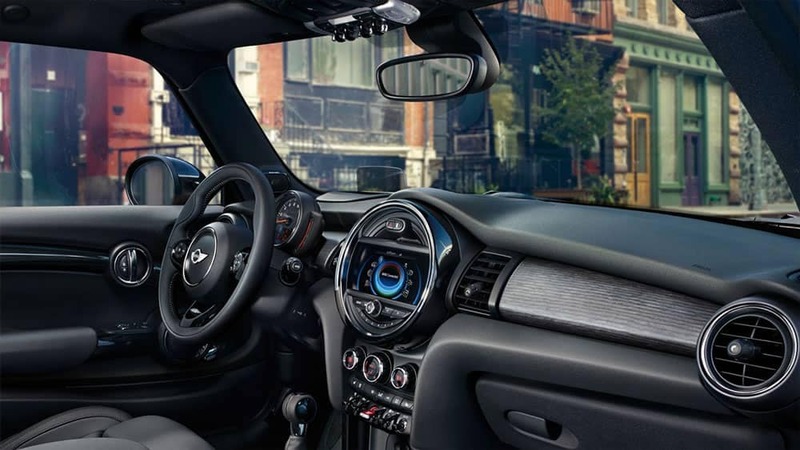 See what can fit inside a MINI and discover all the new MINI safety features near Beverly Hills today at MINI of Santa Monica, serving drivers throughout the area. Feel free to contact us with further questions or to explore our new MINI inventory.